The first jam! – Play UBass! My good friend (and co-worker at a music high school in Sweden) Christoffer Wadensten [ www.meadows.se ] and I did the first jam! Another friend (and co-worker), Marcus Måttgård [ http://www.youtube.com/user/MarQTwang ] filmed it using my iPhone 4! The UBass sounds really great. And it’s recorded with just the built-in iPhone 4 mic!!! 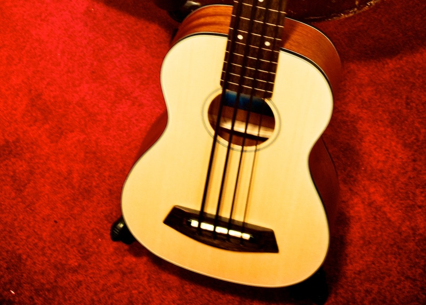 < How I got my first Kala UBass! Pingback: With ”Meadows ever bleeding” | Live @ heart festival 2010 « Play UBass! Yeah! That’s a good jam! Pingback: Gig report: Playing with Meadows ever Bleeding! « Play UBass!